A platform to create innovative ad units to engage users and enhance conversion. We believe that choosing the right format can actually improve users' experience. That's why we offer more than just the standard ad units. Take a look below. 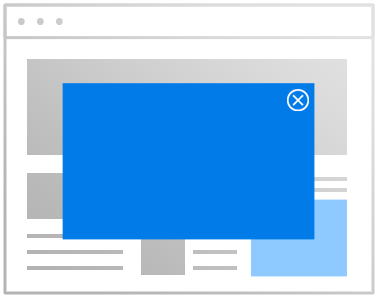 The Floating Button is a non-intrusive Ad Unit that seamlessly integrates with your site since it will be you who tailored and placed by you. After clicking on the Floating Button, it expands and shows a second creative. Since it’s not a display Ad Unit, it does not compete with your existing placements, so you can have a other Banner or Rich Media Ads placed with a Native Button and the user won't be confused or get a spammy feel from your website or app. 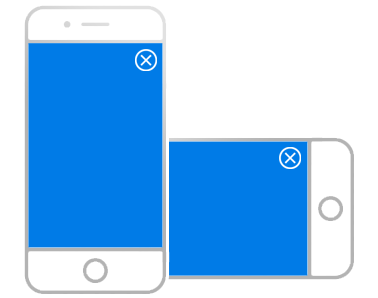 Responsive Overlay Ad displays on the centre of the screen in the expanded mode upon request or target event. The Ad will float over the page content, then will disappear once the user chooses the close button. Our interactive sign-up offers and targeted deals engages users directly within the advertising space on your media, so traffic remains on your page and users benefit from an optimised customer experience. They deliver 8x higher eCPM and you maintain complete user control. 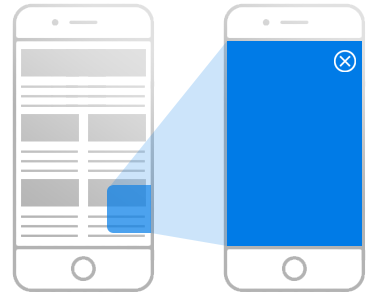 Responsive Overlay Ads display on the centre of the screen in the expanded mode upon trigger or view request. 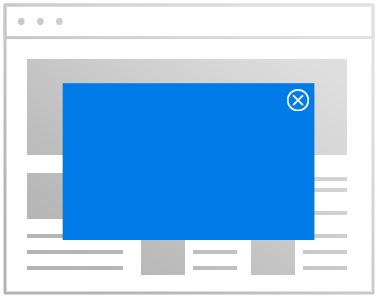 The Ad will float over the page content, then will collapse once the user chooses the close button leaving behind a smaller Ad unit (either Floating Button Ad or into In-Page Banner Ad). The smaller Ad unit can be expanded again once the user has clicked on it. Our interactive sign-up offers and targeted deals engage users directly within the advertising space so traffic remains on your page and users benefit from an optimised customer experience. They deliver 12x higher eCPM and you maintain complete user control. Interstitial ads are full-page ads that appear before the destined webpage. The Ad will float over the page content, then will disappear once the user chooses the close button. 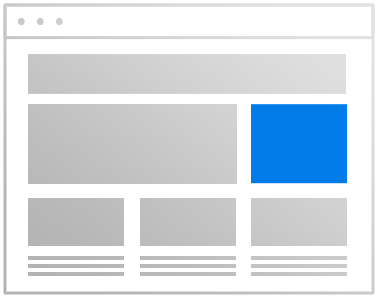 Classic banner ads, supporting both standard IAB dimensions and our custom in-banner ads that maintain all engagements and interactions within the advertising space on your page so traffic remains on your site. We offer display banners in all standard IAB sizes as well as many upcoming and custom sizes.